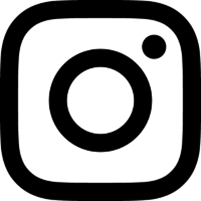 What: Eiffel Tower, Notre Dame Cathedral, Moulin Rouge, L’Arc du Triomphe, Pompidou Centre, Paris Metro, Champs Elysees, River Seine, The Louvre. Illnesses or mishaps: Narrowly missing our flight home and being bundled into the back of a luggage cart which whizzed us out to the plane arriving only seconds before the plane doors closed. A suicide on the railway track was the cause of our delay. France does not inspire me, it must be said. I think it is something to do with the fact that I'd spent so much of my school life chanting 'Dans le weekend, Jai visite La Rochelle' or 'Jai regarde la television'. I also feel that the two weeks trapped in Dagneux, a town near Lyon, with a French family as part of the school's French Exchange put me off the country for life. I am therefore not writing this from a neutral standpoint. Paris was fairly unremarkable as far as I was concerned; the constant drizzle and December greyness ensured that anything remotely worth seeing was as drab as it was dreary. Even the Eiffel Tower was a bit of a let down. I found the people a little arrogant - particularly the men, who pranced around with slap-sounding shoes stinking of aftershave. Get over yourselves! Having just complained in the preamble about the incessant chanting of stock French phrases at school, it must be said that being reasonable in speaking French meant that getting around Paris, and ordering items was a cinch. My French abilities were even more appreciated during our travels in Morocco in 2010. Also, like many of my more earlier travels, 35mm cameras were then norm; which goes some way to explaining the grainy and dull images featured here. Perhaps I will head back to Paris to give the city a second chance - and photographically, I'll make sure I'm far better equipped. Unfortunately a Parisian decided to throw themselves onto the tracks on our train journey back to Paris Charles De Gaulle airport. The flight was literally ready to leave when we arrived at the terminal. In broken French, the best my school education could muster, I was able to explain, desperately, what had happened. Two men bundled us into a luggage carrier and whisked us out to the plane - we left behind scores of people who had been trapped on the same train as us. Within two minutes of getting on the plain, gasping for breath, the plane began pulling out of its bay. The closest shave ever! The thought of being in Paris any longer did not fill me with optimism. 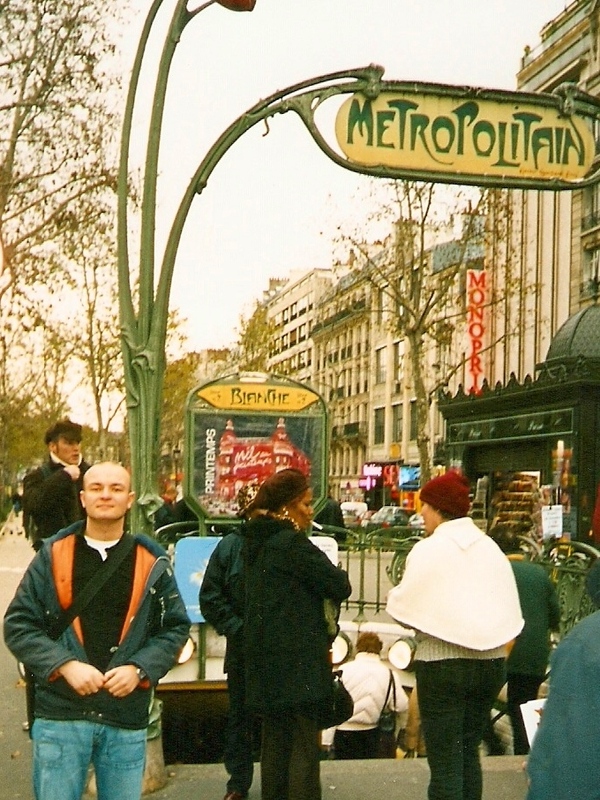 I would go back to Paris, perhaps surprisingly, but only when I'd run out of other places to visit - and only when it was warm and sunny too. 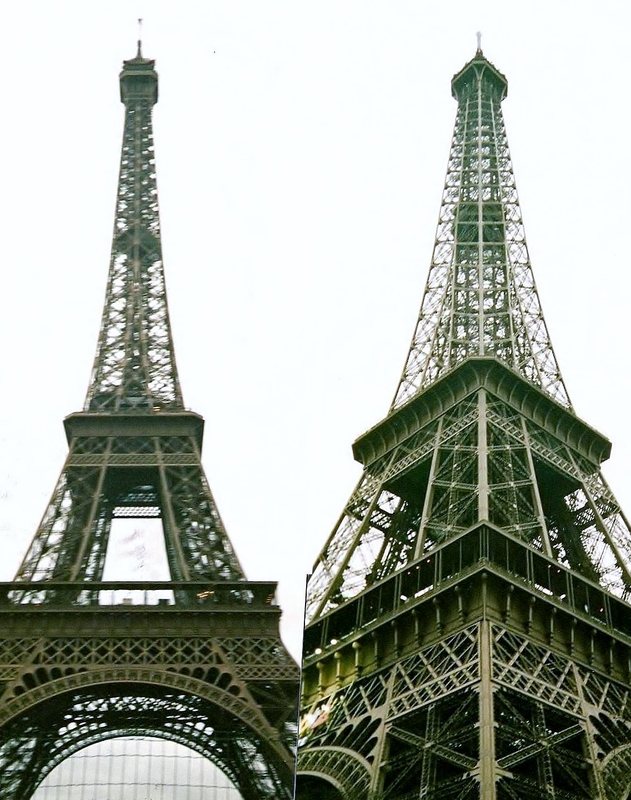 Eiffel Tower, perhaps the world's most underwhelming landmark ? 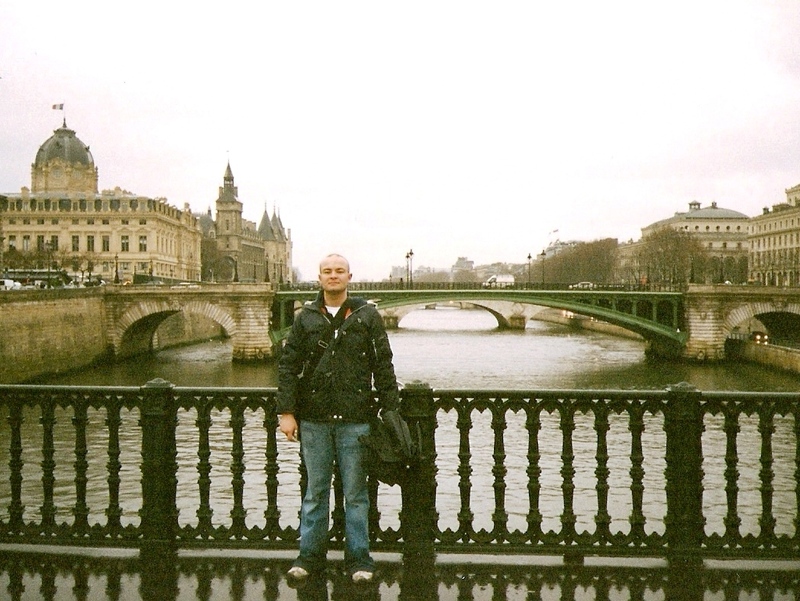 A cold and wet River Seine with obligatory umbrella in tow. 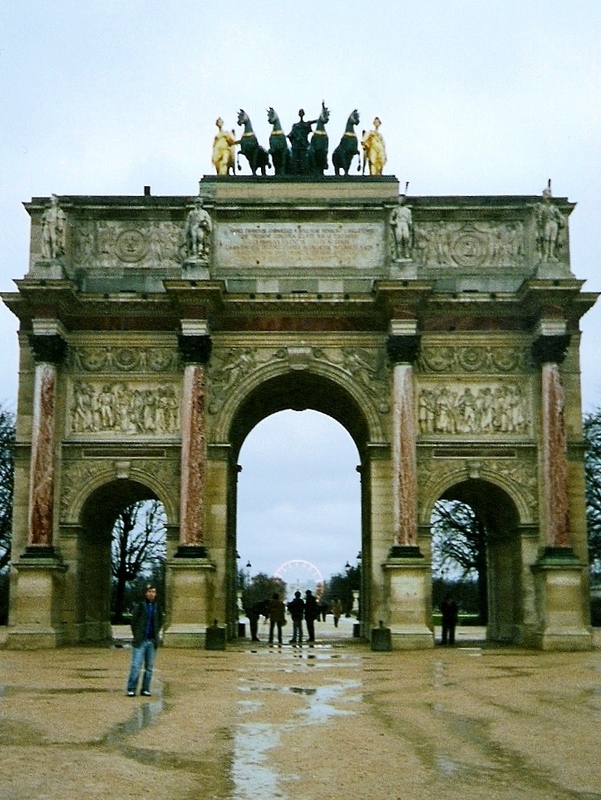 Why did we choose December to visit Paris? 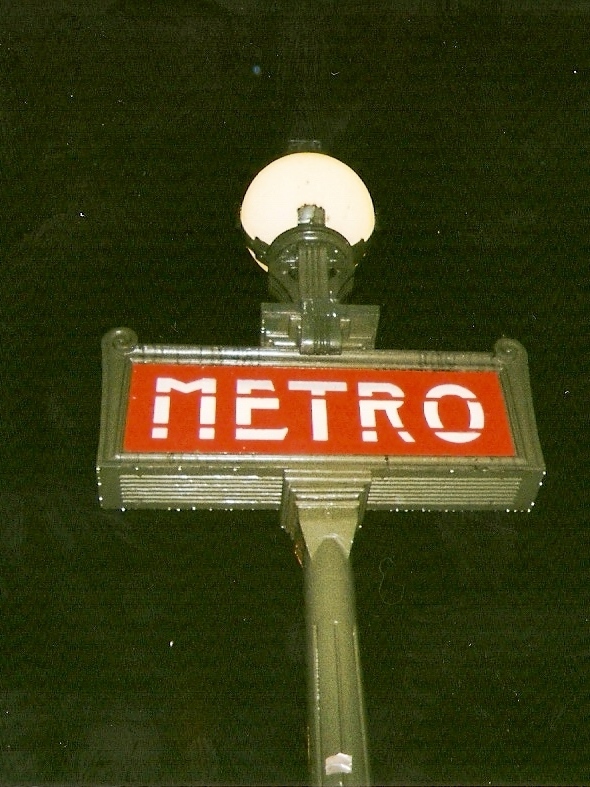 Iconic art-nouveau signage of the Paris Metro. 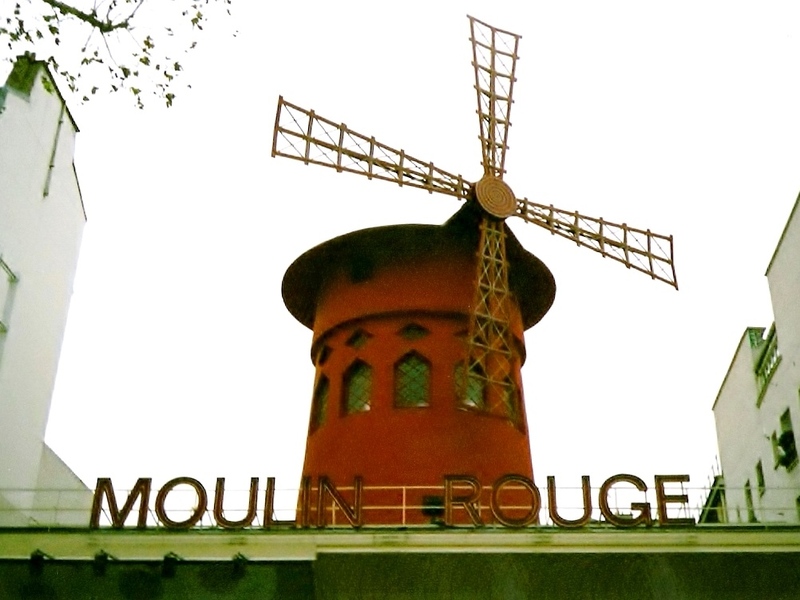 The world's most infamous brothel, the Moulin Rouge. 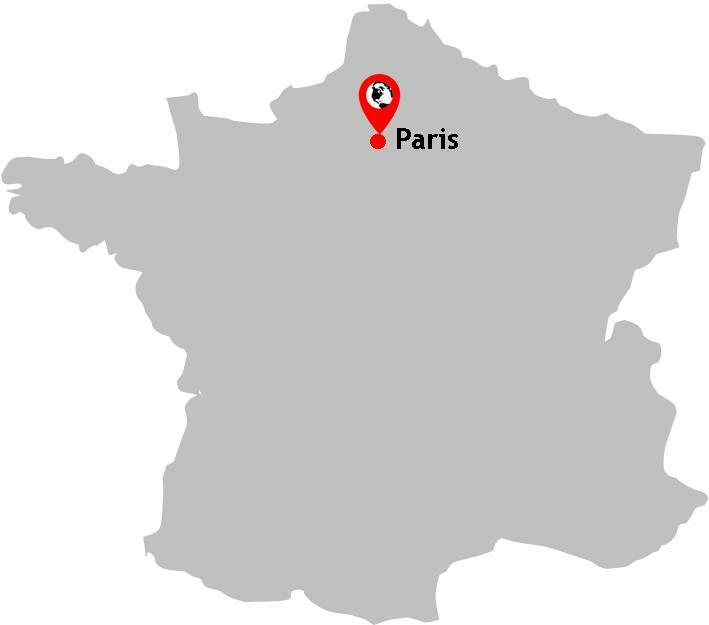 Be sure to book ahead online if, like me, you want to go up the Eiffel Tower. Unfortunately this kind of practise was not up and running at the time of my visit and so, instead, we arrived at the tower and were greeted with a queue a mile long. Book in advance to avoid problems. Paris does coffee shops and cake shops brilliantly. Ensure you get your share.